Marijo Bos has 20 years of experience in Talent Management with Global Service Firms and in Entrepreneurial environments. She has served as a volunteer for PWN Global since 2005, as the Founding Co President Spain and has held a board role with the Federation identifying and managing strategic partnerships such as Mercer, Praxair, RBS, IE Business School for 4 years. Marijo now leads Bos Advisors which supports global organization in strengthening their leadership capabilities to achieve individual and organizational change. She designs programs with a special interest in tapping into the strengths of cross cultural teams. 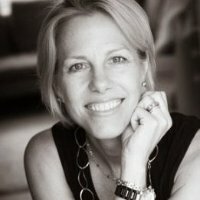 She has worked with clients such as AGCS, Novartis, Nike, Time Warner, Disney, Santander and BT. Marijo is a former Partner with Oliver Wyman’s Executive Learning Center as well as Russell Reynolds Associates where she led the Media and Entertainment Practice based in Los Angeles, CA. She also served as a SVP, Partner with an early stage start-up venture eCompanies – Evercore where they identified entrepreneurs and teams to lead 10 companies in the digital media space. Marijo has a Bachelor’s Degree and is an alumnus of Harvard Business Schools PMD program; she has published articles on mentoring, networking and leadership development and gender. Her passions include eco-living, outdoor activities. With her incredible Board, Marijo, our longest serving President to date, took the network from 10 European locations to 24 global locations and we rebranded to PWN Global.